Best Seller! California Sky is one of our most popular sky and cloud designs. Daydreaming of sunshine and blue skies? 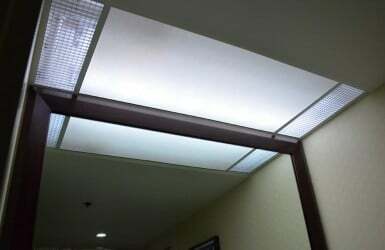 Our California-inspired sky cloud light panels are a gorgeous, well-crafted, and affordable replacement to harsh fluorescent lighting. Whether you’re in your kitchen, at the doctor’s office or checking into your hotel, just sit back and bask in the warm glow of radiant sunshine that evokes the Golden Coast. 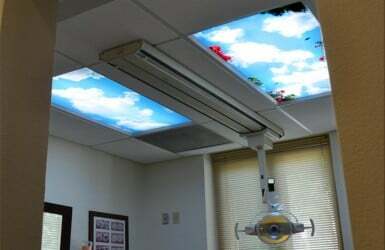 This product is available in five sky panels options. 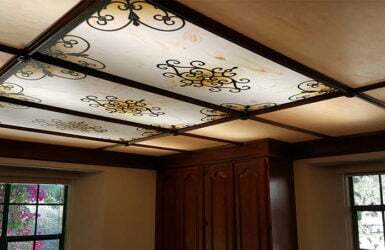 They are derived from our Malibu Sky and Santa Barbara Sky cloud ceiling murals. 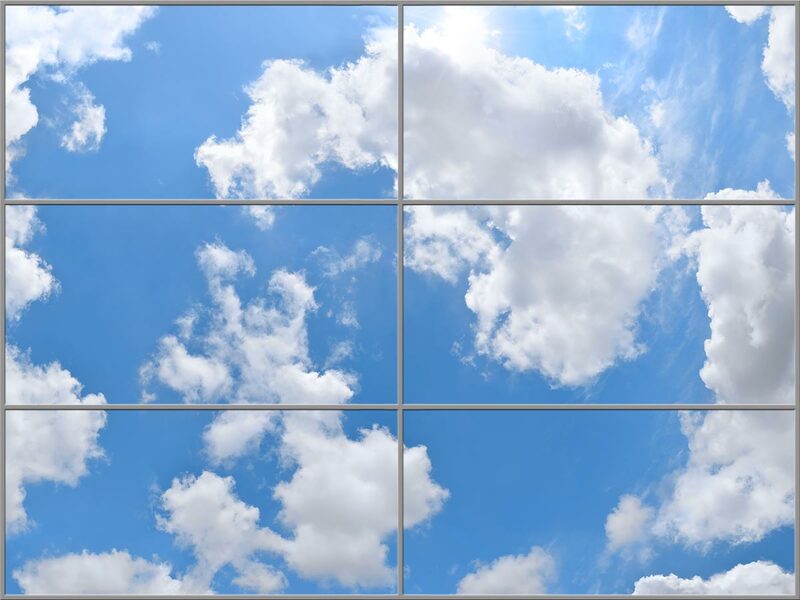 You can achieve a multi-panel sky ceiling by combining panels from this set or from California Sky Mural. Beautiful! We placed 1 panel in each clinical room above the exam table and our phlebotomy room in a primary care clinic. The patients and providers love them! Look carefully, one of them has a small plane in it, which was unexpected. The plane is a good distraction for people, just ask them to, "Find the plane!" We are very pleased! Me, especially so, because I have a glare issue. They are a huge improvement in our kitchen lighting as well as our ambience in the room. Put these in the company lunchroom- turned a dark, unhappy room into the great outdoors. Had to do a bit of custom fitting- but, well worth the trouble! EVERYBODY loves them and it really changed the whole impression of the room. Very Nice. I've installed two "sky panels" in my STEAM Lab at our elementary school. They really add a nice ambiance to the place. Perfect. Gorgeous and well crafted. Precise fit. Very happy with my purchase. Expensive but worth it. I used these in the kitchen in my basement. 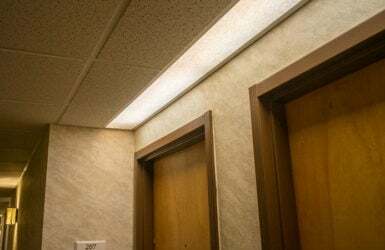 They really add to the room and lighten it up.